One of the great pop culture successes of the 20th Century, comic books and their characters have rich and fascinating histories. Avid fans often respect the silver screen versions, but know nothing beats having a classic issue in your hands, if you have the cash. Here are the 10 Most Expensive Comic Books, whose values have soared like Superman. Published in February 1940 by DC Comics, More Fun Comics #52 contained the origin story of one of the most enduring comic book heroes, The Spectre, created by legends of the Golden Age Jerry Siegel and Bernard Baily. Murdered by crime boss Gat Benson, Jim Corrigan returns to Earth as The Spectre, his soul forged with the spirit of God’s vengeance, bound to punish lawbreakers for 60 years. Introduced in Action Comics #1 in 1938, Superman was the first superhero to get his own comic when Superman #1 was released in summer 1939. Detailing Superman’s origin story, his voyage from planet Krypton and adoption by the Kent family, one reason for the publication’s popularity was that it tapped into the experiences of immigrants striving, like their superhero, to settle and fit into the American way of life, as Jewish-American creators Jerry Siegel and Joseph Shuster had done. 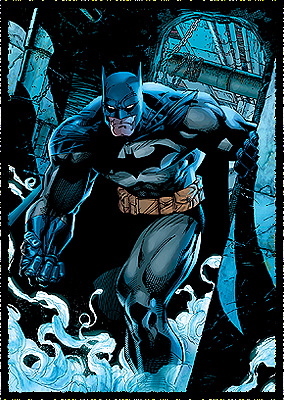 First appearing in Detective Comics #27 in May 1939, Batman became an immensely popular character, mirroring the success of Superman, with the Caped Crusader eventually receiving his own comic in spring 1940. Bob Kane’s iconic creation was teamed up with his trusty sidekick Robin in Batman #1, which also introduced Catwoman and master criminal The Joker. Created by Joe Simon and Jack Kirby during the start of WWII, Steve Rogers and his alter-ego Captain America first flung their shield into the comic book arena when Captain America Comics #1 was published in March 1941 by Timely Comics, later to become Marvel Comics. The first cover featured Captain America punching Hitler hard on his jaw, which may explain why it sold close to 1m copies. Published in October 1939, Marvel Comics #1 introduced readers to both comic book writer Carl Burgos’ original version of The Human Torch and writer-artist Bill Everett’s Namor the Sub-Mariner, who is recognised as the first anti-hero in comic-lore. The issue was a runaway success, selling close to 900,000 copies, setting the pace for future Marvel publications. Published by All-American Publications (later merged into DC Comics) in Jan 1940, Flash Comics #1 introduces college student Jay Garrick and his alter-ego The Flash, created by writer Gardner Fox and artist Harry Lampert. It also features the first appearance of another of Fox’s co-creations, this time with artist Dennis Neville, the winged superhero Hawkman. First published in August 1962, Amazing Fantasy #15 introduced Peter Parker and his alter-ego Spider-Man, created by comic book legends writer Stan Lee and artist Steve Ditko. Setting a record for a Silver Age publication, the first comic featuring everybody’s favourite neighbourhood web-slinger has a striking cover collaboratively drawn by Ditko and Jack Kirby. Published in June 1938 by National Allied Publications, Action Comics #1 is the Holy Grail of comic books, introducing Superman to the world. Although possessing the power to lift a car in his first outing, Superman didn’t take flight until Action Comics #13, June 1939. Considering the original price of the comic was 10 cents, and creators Jerry Siegel and Joseph Shuster sold the rights to Superman for less than $200, this was a stellar investment. The story behind the copy of Action Comics #1 that became the world’s most expensive comic book is truly stranger than fiction. Previously owned by actor Nicolas Cage, it was stolen from his house by thieves in 2000, only to be recovered in an abandoned storage locker found in the San Fernando Valley in April 2011. A film about the curious incident, penned by Reno 911! scribes Robert Ben Garant and Thomas Lennon, is due to be produced by Lionsgate. It’s still hard to believe Cage was actually going to play the Man of Steel in the Kevin Smith scripted/Tim Burton directed Superman Lives, until Warner Bros pulled the plug in 1998, perhaps mercifully? Thanks to the comic fans at Ladbrokes Bingo for putting this together, do you have any rare comics locked away? Let us know in the comments!